A stunning, new find; unique to the world of Tourmalines and crystal healing! Paraiba Tourmalines are a new find among the world of crystals and gemstones. They were first discovered in 1989 by a man called Heitor Dimas Barbosa. He was digging in a Brazilian state called Paraiba, where he was convinced he would find some new and different crystal, and he wasn’t wrong! Five years after he first started mining, the first Paraiba Tourmaline crystals were found. After identifying the particular geological conditions which yielded this exquisite and glowing stone (namely copper rich seams), similar discoveries were made in parts of Africa, in Mozambique and Nigeria. These finds first came on to the open market in 2003 and 2005 respectively. The stunning turquoise/aqua/blue/green colour found in Paraiba Tourmalines (which has led to it being labelled the Peacock Stone) vibrates best with both the heart and throat chakras. This moment in time, as we work toward Ascension, is all about the Truth. Finding, hearing and speaking the Truth. It is not about saying exactly what is on our minds without concern for the impact of our words on others, but it is about speaking out about what is right for us on our spiritual journey. There are many changes afoot; long-standing relationships are being broken down, established work patterns are changing with new careers being sought, and new connections are being made on a global level. People are no longer happy to stay as square pegs in round holes; to go on unheard. As spiritual consciousness expands, so does the need for change; to seek out new relationships, new ways of working and new ways of expression. To not speak the Truth can be to deny someone of their own karma, as well as our own. They may need to hear what you have to say, even if they don’t particularly like it or want to hear it. If it is said with love and compassion and with the intent that it is for the greater good of all, then there is the prospect of positive change and healing for all. This magical new Tourmaline is the stone which supports this Truth and Healing. 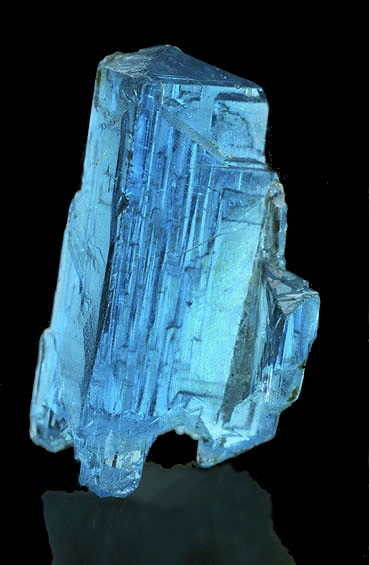 Metaphysically, Pariba Tourmalines are one of a few New Age stones which have surfaced in recent years; becoming available only we are ready to receive their unique, high vibration energies. They have an ethereal, angelic energy which is quite magical, and they also have an ancient, knowledgeable feel about them. They assist in our well-being and promote inner-strength and spiritual inspiration. They also encourage a desire to help and support others – a true stone for healers of the New Age. They are also linked to the Angels of Joy and Abundance. Although to a novice eye on first inspection they could be mistaken for Apatite crystals or even Aquamarine, when you actually handle them and take a closer look, their look and feel is altogether different, and their energy is unlike any other crystal. They are incredibly powerful and appear to pulsate with pure, white light; transforming heavy, dense vibrations into positively charged dynamic energy. Africa yields the biggest Paribas and they also have the most uniform colour (Brazilian ones are rarely found above 1ct). Paribas can be found in various colours depending on the other minerals present when they formed in the earth like iron and manganese, but it is the magical aqua/blue/green ones which are the most prized. Those from Nigeria are mostly aqua and mint green, whilst the ones from Mozambique have a wide range of colour; ranging from teal, pink, violet, blue, aqua, and mint green. It is copper which accounts for their exceptional colour; a mineral which has never before been found in a Tourmaline crystal, making them truly unique, and which also accounts for their sparkle and radiance. Paraiba Tourmalines from Brazil are among the rarest and most sought after gems in the world. They are unsurprisingly, therefore, also one of the most expensive, and Brazilian examples often exchange hands for over $3,000 a carat! Geological tests, however, have shown that there are few differences between the Brazilian and African, save for the latter being very slightly lighter in colour, and these are, whilst still expensive, proving to be more affordable.